Menu bar apps live in the top-right corner of your Mac’s screen, and bring some amazing benefits to your desktop. We love that these tiny, smart utilities don’t get in our way like the dock apps do. Instead, they sit in a corner and swing into action only when we summon them. This guide is available to download as a free PDF. 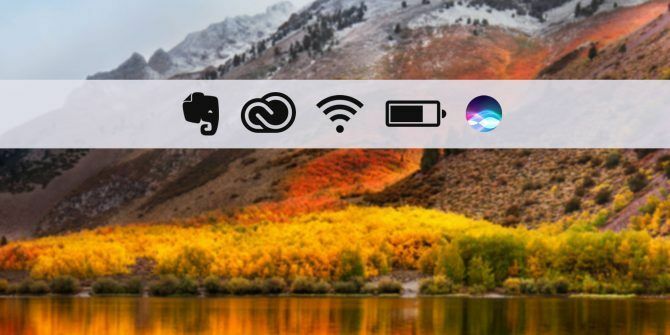 Download The Ultimate List of Mac Menu Bar Apps now. Feel free to copy and share this with your friends and family. Free apps get priority on our list, but not at the cost of quality or effectiveness. Technically speaking, a few apps on the list are not menu bar apps, but regular applications that you can limit to the menu bar by hiding their dock icon. This tiny utility seems to have been around forever. It’s useful for ejecting drives from the menu bar, one at a time or all at once. Install Clocker to stay up-to-date on time zone information. You can even add notes and create reminders with the app. The makers of the popular window management app Moom have a few other useful apps for you. Resolutionator is one of them. It makes switching screen resolutions effortless. You’ll see a list of all your displays with nested menus showing the resolutions available to each of them. Don’t forget to try the app before you buy! QuickRes ($14.99) is another popular app that does something similar. It has some advanced features such as custom profiles and Touch Bar support. Let’s say you need to pick up something on your way to work or call someone before they leave for the airport. With Gestimer, you can create quick reminders for such short-term daily tasks right from the menu bar. Drag and drop the app’s menu bar icon onto your Mac’s screen to start creating a reminder. Click on the icon to view all your reminders as a list. If you rely more on mouse clicks than keyboard shortcuts, you’ll appreciate the convenience of an app launcher that lives in the menu bar. XMenu gives you access to all your folders, applications, music, movies, and even text snippets. It’s been quite a while since the app saw an update, but it seems to work without a glitch even on High Sierra. Some of the best Mac apps come pre-installed The Best Default Mac Apps That You Shouldn't Need to Replace The Best Default Mac Apps That You Shouldn't Need to Replace Here are some of the best default, pre-installed, native Mac apps worth using. Don't ditch them before you try them! Read More . Grab and Preview fall into that category for sure, but using them in tandem to take, edit, and annotate screenshots How to Take Screenshots on Mac: Tips, Tools, and Tricks to Know How to Take Screenshots on Mac: Tips, Tools, and Tricks to Know Need to take a screenshot on your mac? Here are the best shortcuts, tips, and apps for macOS screenshots. Read More makes for a tedious workflow. Try Monosnap instead. It’s an underrated app that I wish I had discovered sooner. As soon as you take a screenshot with its menu bar options or keyboard shortcuts, Monosnap opens the file right there. It allows you to add text and visual elements, blur sensitive data, and highlight specific sections with minimal effort. Dig into Monosnap’s preferences to find more useful features. The lightweight and efficient Mia for Gmail puts the contents of your Gmail inbox in the menu bar. You don’t have to switch to a desktop client or webmail to read, compose, delete, label, or move emails. If you would prefer a menu bar app that’s a Gmail lookalike, try Made for Gmail or MailTab for Gmail. Do you know of any up-to-date menu bar apps for checking non-Gmail inboxes? Multi-tasking can kill your mental energy 11 Quick Fixes for the Bad Habits That Kill Your Mental Energy 11 Quick Fixes for the Bad Habits That Kill Your Mental Energy There are millions of things that drain your mental energy. You can develop good habits to increase your mental energy reserves. The tips here are a great place to start. Read More . Switch to automated single-tasking with Hocus Focus. You can set the app to hide your inactive windows after a preset time or every time you switch to a different app. Hocus Focus allows you to set custom timers for each open application. If you’d rather have inactive apps fade away into the background instead of disappearing from the screen altogether, try HazeOver. It puts the spotlight on the active app and acts as a dimmer switch for the inactive ones. Wish you could quit applications after a certain interval instead of hiding them? Quitter can take care of that for you. 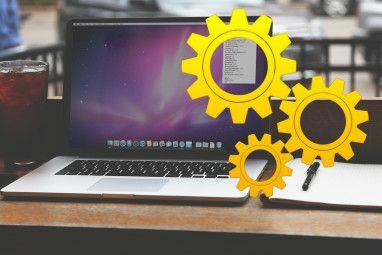 It’s one of those lesser-known apps that work wonders for your productivity 13 Free Mac Productivity Apps You Haven't Heard Of 13 Free Mac Productivity Apps You Haven't Heard Of There's a misconception among Mac users that good apps are always paid, but you'll find plenty of excellent free apps if you know where to look. Read More . You can also hide apps with Quitter if you want to. 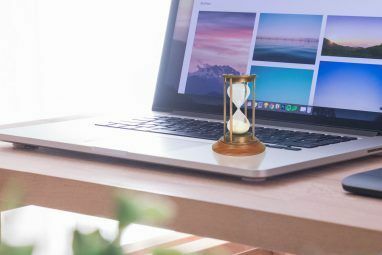 If you need rescuing from Facebook and co How to Really Block Time-Wasting Websites: 3 Tips That Work How to Really Block Time-Wasting Websites: 3 Tips That Work Finding yourself unproductive because of distracting sites? Block time-wasting sites with the help of these tips and tools. Read More or distracting desktop applications during your workday, check out Focus. It allows you to block distractions with a single click or a keystroke. While we’re on the subject, you might want to consider making a few changes to get a distraction-free computer How to Get a Distraction-Free Computer in 10 Easy Steps How to Get a Distraction-Free Computer in 10 Easy Steps Your attention is consumed by distractions. Remove them to increase your focus and productivity. We show you the most common computer-related time suckers and how to disable or block them. Read More . Use the timer built into Focus to schedule distraction-free sessions. They’re perfect for making inroads into your work and digging yourself out of task backlogs 10 Ways To Dig Yourself Out Of Task Backlogs 10 Ways To Dig Yourself Out Of Task Backlogs The feeling of drowning in a list of never ending tasks is a fear common to all of us. The cure is available. Here are ten ways to claw your way back. Read More . If you’re worried your evil twin will find a way to cheat the system, the app has a couple of tricks to stop her. Focus comes with a free trial and a 60-day money back guarantee. Mac has some nice third-party distraction-blocking apps such as SelfControl and Cold Turkey. It’s a pity that the menu-bar-based solutions (i.e. competitors to Focus) seem to be in short supply. You don’t need a special app to work the Pomodoro way. Any old kitchen timer will do, but a menu bar app makes it easier, and the beautiful Tomato One is one of our top choices The Best Pomodoro Timer Apps to Rocket Your Productivity The Best Pomodoro Timer Apps to Rocket Your Productivity If you often hit a productivity wall after a few hours of work, a Pomodoro timer could help you keep your focus. This selection of timers has an option for every platform. Read More . It’s been a while since its developers updated the app, but it works fine, even in modern macOS versions. You can trigger a Pomodoro, a short break, or a long break from the app’s menu bar icon. If you want to tweak any of these intervals or turn off the Autostart feature, visit the app’s settings section via the Show option in the menu. Be Focused combines a super simple to-do list 8 Super Simple To-Do List Tools to Keep You Focused 8 Super Simple To-Do List Tools to Keep You Focused A to-do list is the simplest productivity system. These eight minimalist to-do list tools are for tracking your daily tasks without the fuss. Read More feature with a Pomodoro timer. As with Tomato One, you get daily/weekly maps to chart your progress and the option to customize the time intervals for Pomodoros and breaks. The app limits you to 10 to-do items. Of course, it’s best to stick to a handful of tasks to make your to-do list appear manageable instead of overwhelming. Be Focused adds a widget in the Notification Center and is also available as an iOS app. With Workspaces, you can summon up everything you need to work on a particular project with a snap of your fingers… er… with the click of a button. The app allows you to bundle the resources linked with a project (files, websites, emails, apps, and so on) into one set. You can see and open the contents of each project or “workspace” from the app’s menu bar icon. Keep a scratch pad ready in your menu bar for typing in ideas, reminders, and other bits and pieces of information. The bare-bones Tyke is perfect for the job. If you need basic Markdown support for your scratch pad, go for FiveNotes. It supports headers, bold and italicized text, lists, and quotes. If you have set your Mac to use the dark version of the menu bar from System Preferences > General, the notepad also reflects a dark theme. The app autosaves notes, so that’s one less thing to worry about. As the app’s name suggests, you get only five notes, which is not bad for a scratch pad. Itsycal gives you a no-fuss way to create, view, and delete calendar events. It’s unintrusive, keyboard friendly, and open source too! If you want a companion app for your Mac’s pre-installed calendar app, Itsycal is ideal. Want a powerful calendar app living in your menu bar? Let the much-loved Fantastical convince you it’s the right choice — take advantage of its free trial. Our review of Fantastical $50 for a Calendar? 5 Reasons Fantastical 2 is Worth It $50 for a Calendar? 5 Reasons Fantastical 2 is Worth It The original Fantastical wasn't cheap at $15, and now developer Flexibits will be charging $50 for the updated version — so is it worth it? Read More tells you why it’s worth the high price tag. Taking frequent short breaks Take A Break: 10 Websites To Help You Relax For Two Minutes Take A Break: 10 Websites To Help You Relax For Two Minutes It's incredibly important to take the time to relax occasionally. It doesn't do anyone any good to constantly be ON, to be working, to be stressed by the rigors of everyday life. In the same... Read More is as important for productivity as beating procrastination. TimeOut is here to remind you of that. Much like Pomodoro apps, TimeOut allows you to configure time intervals for work and play. You can also, say, play a piece of soothing music The Most Relaxing Songs of All Time, According to Science The Most Relaxing Songs of All Time, According to Science "The Most Relaxing Tune Ever" is actually a thing, and scientists have determined a Top 10 list of relaxing songs. It's about time we revisited some of those more tranquilizing numbers. Read More , open a specific website, or put your Mac to sleep automatically when break time starts. Pick from TimeOut’s repository of user-submitted themes and scripts to program the app to your liking. With the soothing sound of a Tibetan bowl, Awareness tells you that you have now used your Mac for an hour at a stretch. That has a feel-good effect if you have immersed yourself in your work (or rather ignored Facebook and email) for the past hour. Take a break or continue working — it’s up to you. Awareness is only the messenger. Yes, there are cheap (even free) ways to keep tabs on your Mac’s vital signs Monitor Your Mac’s Vital Signs With These Third Party System Monitors Monitor Your Mac’s Vital Signs With These Third Party System Monitors As useful as Apple's Activity Monitor is, there are many more monitoring apps made by third-party developers that can be of use to the discerning Mac user. Read More . But iStat Menus is the app to get if you want a convenient way to know everything there is to know about your Mac’s activity. The app gives you no-detail-left-out reports about the CPU, memory, disks, battery, sensors, and so on. Want weather reports and forecasts? You have them, along with information about internet downtime, high CPU usage, network traffic, and a lot more. Create rules to automate various tasks on your Mac with Hazel. You can start and stop Hazel, open the app window, and even run individual rules from the menu bar. macOS does have an in-built app for automation (Automator), but it comes with a slight learning curve. Hazel is easier to adapt to and feels more user friendly. Battery Health tells you everything you need to know about your MacBook’s battery. That includes how long it will last with the current charge, the number of charge cycles it has been through, and the status of its health. The “info” section of the app lists a few tips that show you how you can make your Mac’s battery last longer. If you want a couple more options to consider, check out Battery Monitor and Coconut Battery. You have quite a few impressive window management Mac apps 7 of the Best Mac Window Management Tools 7 of the Best Mac Window Management Tools Does your Mac desktop look like a 10-car pileup with app windows all over the place? It's time to take back your screen real estate. Read More to choose from, but BetterSnapTool is one the most feature rich options. Apart from scaling and resizing windows, you can program app-specific snapping sizes and custom snap areas. The app also supports multiple monitors Essential Tools & Tips for Working With Multiple Mac Monitors Essential Tools & Tips for Working With Multiple Mac Monitors You've found the right display adapters for your Mac and have a second monitor connected — now what? Here's everything you need to know to set up and use multiple monitors with your Mac. Read More . Read our review of BetterSnapTool Take Control of Windows On Your Mac Desktop With BetterSnapTool and Houdini Take Control of Windows On Your Mac Desktop With BetterSnapTool and Houdini No matter if you have a small 11" MacBook Air or a 27" iMac, you typically are going to wrestle with managing windows on your desktop screen. Even though I use two monitors, I used... Read More , and if you want an alternative to the app, Moom ($10) is a great choice. If you want a free window management solution and don’t mind one that relies only on keyboard shortcuts, you can’t go wrong with Spectacle. Its default shortcuts are intuitive, which makes them easy to recall. If you forget any, you can take a quick peek at the shortcut menu hidden behind app’s menu bar icon. Spectacle allows you to scale windows to various preset sizes and move them to various preset locations. You can also move them between displays and scale them by preset amounts. You can set up custom keyboard shortcuts from the app’s preferences. f.lux has long been the most popular app for optimizing your Mac’s display to reduce eye strain and improve sleep patterns. Starting with Sierra, macOS has a native feature called Night Shift that does the same job. f.lux is still worth installing though, because it gives you finer control over the color temperature optimization. If you want to stick with Night Shift, make it a bit more powerful with Shifty. You might also want to check out a few alternatives to Night Shift and f.lux Use a Mac at Night? Night Shift and Other Apps That Can Save Your Eyes Use a Mac at Night? Night Shift and Other Apps That Can Save Your Eyes Apple just dropped the latest macOS Sierra update with relatively few changes apart from one standout feature: Night Shift. Read More . Keep in mind though that blue-light-filtering apps are neither a cure-all nor an alternative to screen-free time Can F.lux and Night Shift Really Improve Your Sleep Habits? Can F.lux and Night Shift Really Improve Your Sleep Habits? Excessive use of computers, tablets, and smartphones can lead to deteriorated sleep quality -- but do apps like F.lux and Night Shift really counteract those effects? The science is pretty clear on this. Read More . 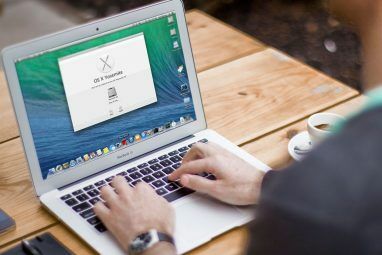 Moving data around on your Mac 4 Useful Drag-and-Drop Mac Data Transfer Apps 4 Useful Drag-and-Drop Mac Data Transfer Apps Forget menus, buttons, and confusing keyboard shortcuts. Try dragging and dropping for a faster workflow. Read More is easy when you use a drag-and-drop solution. It gets a lot easier when you use an advanced app like Dropzone, which allows you to do more than just move files from the menu bar. You can copy files, install applications, launch them, upload files to the cloud, and do a lot more with this much-loved productivity app. With so many excellent apps to choose from, it’s hard not to fill up your Mac’s menu bar with them. Resistance seems futile. The best you can do is hide some of the app icons with Vanilla. It’s a much-needed improvement over Broomstick, a free app that did something similar, but was far from user friendly. Clicking on Vanilla’s menu bar icon slides all your hidden icons into and out of sight. Vanilla won’t work if you have enabled the Automatically hide and show the menu option under System Preferences > General. If you appreciate the icon-hiding functionality for menu bar apps and are willing to pay for some advanced features, get Bartender. You won’t regret it. The app comes with an app search feature and hotkey support among other things. Vox is a sleek and fast music player that you can hide in the menu bar. Install the Vox extension for media controls if you want to control music with the media buttons on your Mac’s keyboard. With this extension, you can also set the app to open when you press the Play/Pause key. AppLocker allows you to protect specific applications with a password. The free version of the app is toothless: it allows you to lock only one app. Get the Pro version to lock more of them. A simple way to see real-time information about the weather at different locations. You can get hourly forecasts and weather alerts as well. This one’s handy if you use multiple browsers and email clients on a daily basis. When you click on a website link, Bumpr allows you to pick the browser with which you want to open the link. Likewise, it allows you to pick from different email clients when you click on a mailto: link How to Change the Default Email Program for Mailto: Links How to Change the Default Email Program for Mailto: Links If you don't use the default mail client on your computer, you can easily make the mailto: links in your browser open in your regular email program. Here's what you need to know. Read More . Bitdock displays cryptocurrency prices in USD, EUR, and GBP, and updates every minute. It’s not a lightweight app, but it is convenient if you want an easy way to follow the ups and downs of your crypto investments. Book an Uber from the menu bar. Use the autocomplete recommendations in the app to enter the pickup location and your destination. Tripmode allows you to block unnecessary traffic on your Mac to save data when you’re using a mobile hotspot. It’s a must-have in every remote worker’s survival kit The Remote Worker’s MacBook Survival Guide The Remote Worker’s MacBook Survival Guide You couldn’t imagine doing your job without your Mac, but maybe you’re not quite running at maximum efficiency. Read More . Turn any website or web application into a menu bar app with Fluid. It’s one of the app’s premium features. You don’t need to buy a Fluid license to turn websites into real Mac apps (i.e. desktop apps). If you have a launcher app such as Alfred, Lacona, or LaunchBar installed, check if it saves clipboard entries. If it doesn’t, you might want to install a standalone clipboard manager. We weren’t 100 percent satisfied with the menu bar apps in this category, which is why we left them out of the Timesavers section above. All these apps might make you too productive, and we can’t have that. Counter excess productivity from time to time with a mix of jarring sounds from the web app Annoisli. Think buzzing flies, bawling babies, and honking cars. The sounds will either have you screaming for rescue or turn you forever immune to all kinds of cacophony. Enjoy! It’s a pity there’s no Mac menu bar app for Annoisli. If you have discovered some other useful Mac menu bar apps yourself, let us know in the comments! Explore more about: Longform List, Mac Menu Bar, macOS High Sierra. • PopChar - Need to find a font's hidden character? This is the tool! • ZoomIt! - Need a quick loupe? This is pixel perfect for magnifying part of your screen. • PopClip - Last, but not least. Could not live without my lil pill helpers! As I write this, Path Finder is in my menu bar and has been for years. Reminds of gnome desktop on my Linux machine. FIPLAB renamed Go For Gmail last year. Its new name is Made For Gmail, and it is frequently updated. "If you would prefer a menu bar app that’s a Gmail lookalike, try Go for Gmail or MailTab for Gmail. These haven’t been updated for quite some time though." You're right, Stephen. Thank you for pointing that out. I'll update the article. I did know about the newer version, but slipped up because I used the App Store link. Made for Gmail doesn't seem to be in the App Store yet.